It's true. My Malay friends told me, Kelantanese girls are known for their beauty. Some said, it's because they eat a lot of 'pulut' (sticky rice) instead of the usual rice, that's why their skin is fair and smooth. Is this statement true or myth... I don't know. But what I really do know is, Kelantanese Malay ladies do look fairer comparatively. And so, could this be the reason for this snack to be named as 'beautiful lady'? Actually I prefer to translate these as "My Fair Lady". 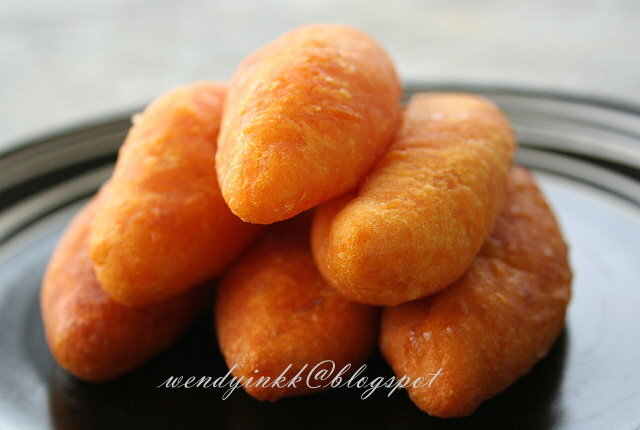 This kuih is found all over Malaysia but it very popular in both Kelantan and Terengganu. 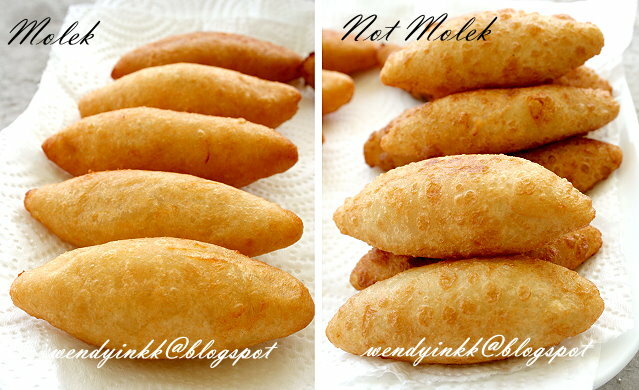 Some just fondly call it as cek mek, but anyway... it's the same thing. I was introduced to this kuih by the canteen cooks in Selancar. My first encounter was quite.....painful. I took one while it was still too warm and the hot syrup almost burnt my tongue. But then... it's very delicious when eaten warm. I saw how they made it but never tried it myself. 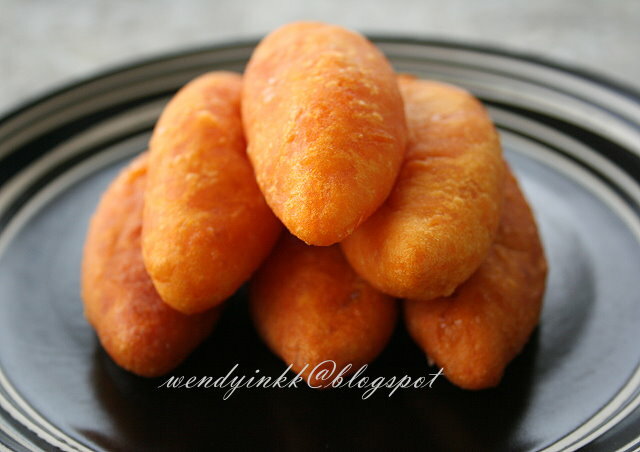 And this kuih is usually made without a recipe or measurements. Just add until enough, use enough... LOL, get it? 1. While the sweet potatoes were hot, mash them fine and add in the flour. You may not need all or you may need more. Just add until a pliable dough is formed. 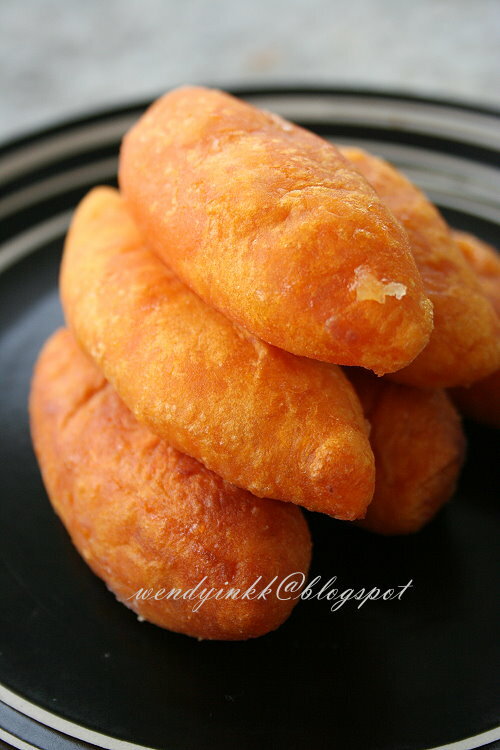 2.Divide dough into equal pieces (30gm each). 3.Lightly dust hands with flour and flatten each piece of dough. Fill with one tsp sugar. Seal up and make it into an oblong shape with pointy ends. Repeat until all the dough is filled and formed. 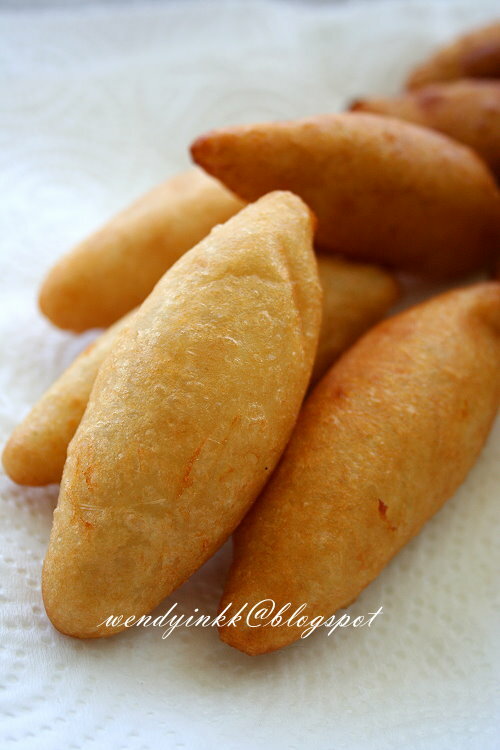 4.Deep fry the cek mek on MEDIUM heat until a crust forms on the outside. Drain and let it cool down before serving. *Take note that white sweet potatoes are drier and might need less flour. *** Fry it soon after you've done forming. Don't wait too long because the sugar will melt upon contact with the moisture from the dough. 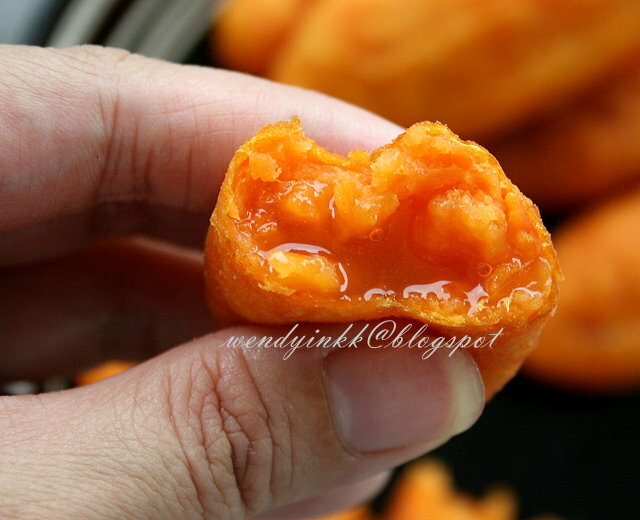 this is similar to the sweet potato fingers i've always eaten, only there isn't any syrup inside! there is this uncle selling it just beside mini market at kk in the evening. U mean the Hokkien ChiChor? No, the texture is not the same, chichor is chewy while this one is soft. Almost like the Cantonese version of "Fanshudan" but made oblong and with syrup. yaya! because chichor is made using glutinous rice flour and this is with plain flour only right? Very nice kueh but somehow I haven't eaten it. The kueh itself is very "molek" and I think the name is very suitable. Molek or not molek, I think these must taste awesome. I think I prefer the orange sweet potatoes; look nicer, right? ooo.... don't miss out on this, buy some or make some! 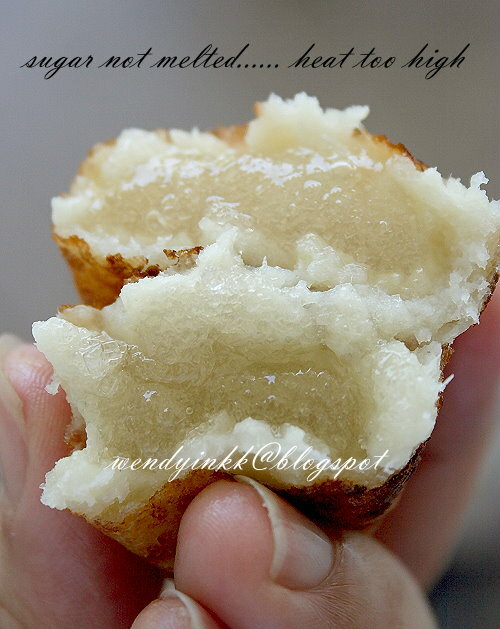 Actually, the white one has better mouthfeel when made into this kuih, because it's more floury, and need less flour. Maybe you can try mixing them for a good mouthfeel and colour. what a beautiful name for snack, Wendy! 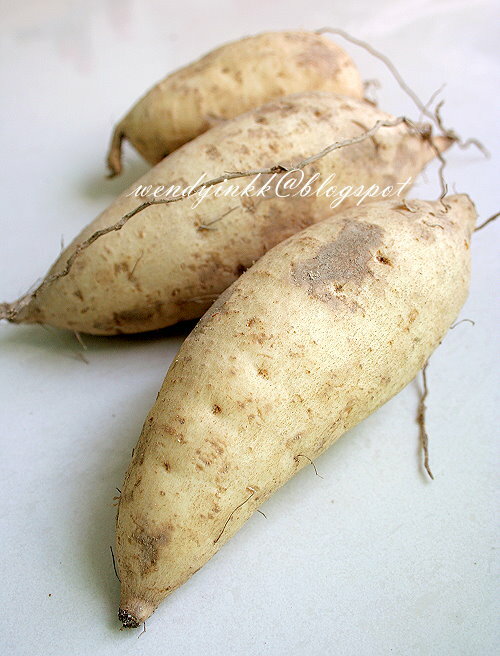 I love sweet potatoes so much, so I will always looking for recipe using sweet potato. I need to try this. Thank you for the video too, make more easy. This Cek Molek looks interesting.